Recommend 1 - 2 steps colder spark plugs. No projected tip, fine wire or iridium spark plugs. Power levels in excess of 75 hp should use a racing/high octane rated fuel. Sniper Wet EFI Nitrous Plate Kits give one of the most powerful bang-for-the-buck power adding solutions. 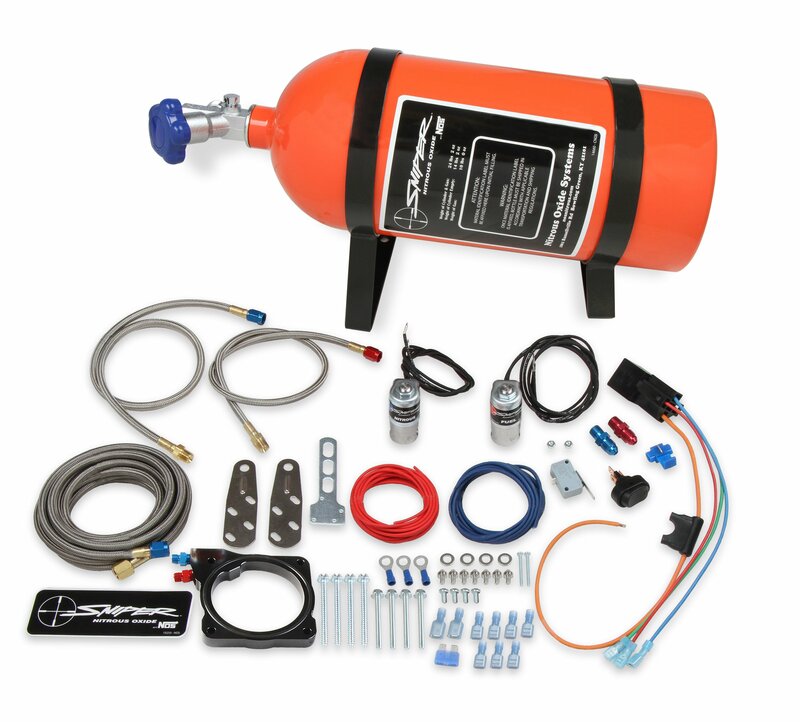 Sniper nitrous kits are great for the budget minded builder that wants the power nitrous is famous for. These are wet plate kits, meaning the additional fuel is added though the nitrous system, so there are no requirements for an injector upgrade. All of the needed items are included in the kit for a complete, no hassle installation.